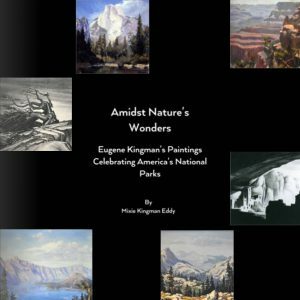 A companion book, which compliments an online exhibit of the National Park Service’s art collections that tell America’s stories about its national parks. 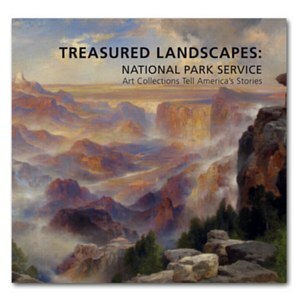 Four of Eugene Kingman’s paintings (Grand Teton, Yellowstone, Sequoia and Crater Lake), are included in both this book and the Treasured Landscapes Online Exhibit. 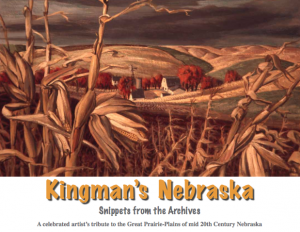 KINGMAN’S NEBRASKA: Snippets from the Archives, by Elizabeth A. Kingman. A celebrated artist’s tribute to the Great Prairie-Plains of mid-20th century Nebraska.